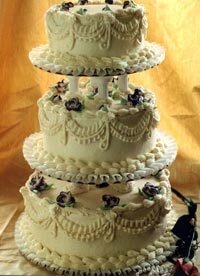 Whether you want your wedding cake to be traditional or non-traditional, you certainly want it to be both beautiful and delicious. 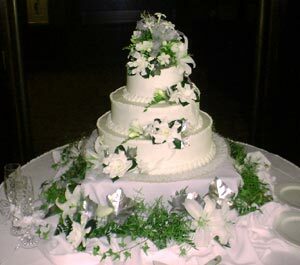 Larson's Bakery can create the perfect cake confection for your special day. 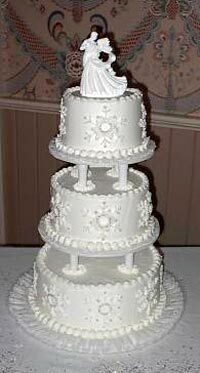 The cake designers at Larson's Bakery will work with you to design a masterpiece for your wedding day. 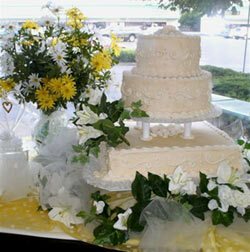 The wedding cakes pictured below are some examples of the wedding cakes Larson's Bakery offers. 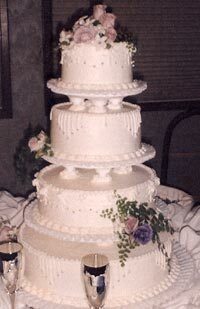 At Larson's Bakery, we have dozens more pictures for you to see. 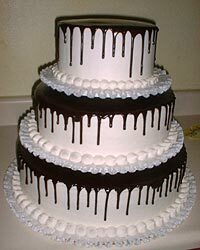 Or, if you already know the cake design you want, come in and tell us about it or show us a picture. 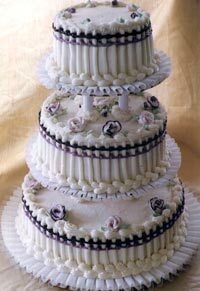 Our cake designers are very talented and will be able to create your dream wedding cake. 6" x 9" x 12"
7" x 10" x 14"
8" x 12" x 16"
6" x 9" x 12" x 16"
7" x 10" x 14" x 18"
8" x 12" x 16" x 20"
6" x 9" x 12" x 16"x 20"
7" x 10" x 14" x 18" x 22"
Marilyn (a blend of vanilla custard and buttercream); Rum Marilyn; Pineapple; Orange; Strawberry; Raspberry; Lemon; Chocolate; Nutty Fudge; German Chocolate; Cream Cheese; Buttercream; Almond Buttercream; Mocha Buttercream; Mint Buttercream; Amaretto Buttercream; Chocolate Buttercream; Nougat Buttercream; Chocolate Rum Buttercream. 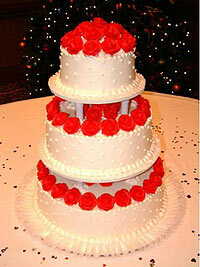 Wedding Cake orders must be placed and paid in full a minimum of 2 weeks prior to the event. 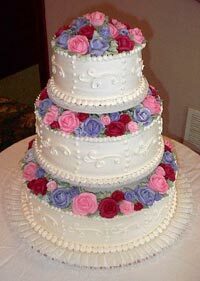 Selecting a wedding cake is complicated. 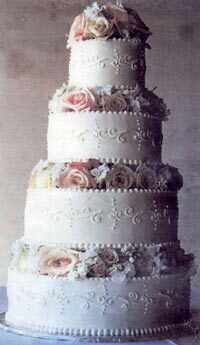 There are many decisions that have to be made -- the cake size, the type of cake, the colors, the overall look. We offer a limited number of complementary cake samples to help you make your cake and filling decision. 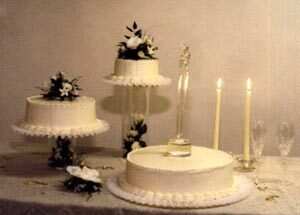 Allow at least one day when ordering your cake sample. 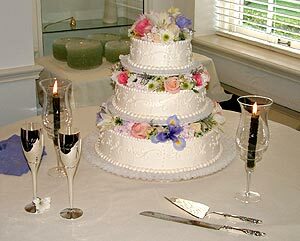 Our wedding cake selection process requires at least one in-person visit to the bakery. 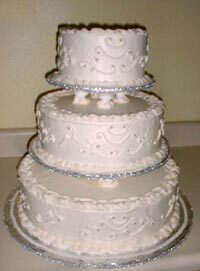 You can, however, get the process started by calling the bakery at 360-253-4555. 13411 SE Mill Plain Blvd.